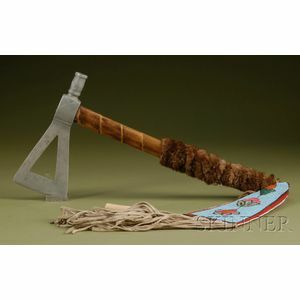 Northern Plains Pipe Tomahawk, c. first quarter 20th century, with pewter head, the ash handle file branded and wrapped with otter hide, the cloth and hide beaded drop with floral design on a light blue background, tied to the fringe is a bone tube with red horse tracks, lg. 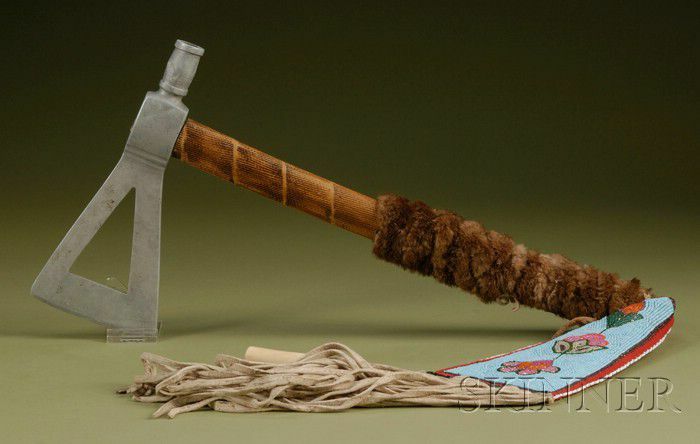 of tomahawk 17 1/2, lg. of drop including fringe 21 in.